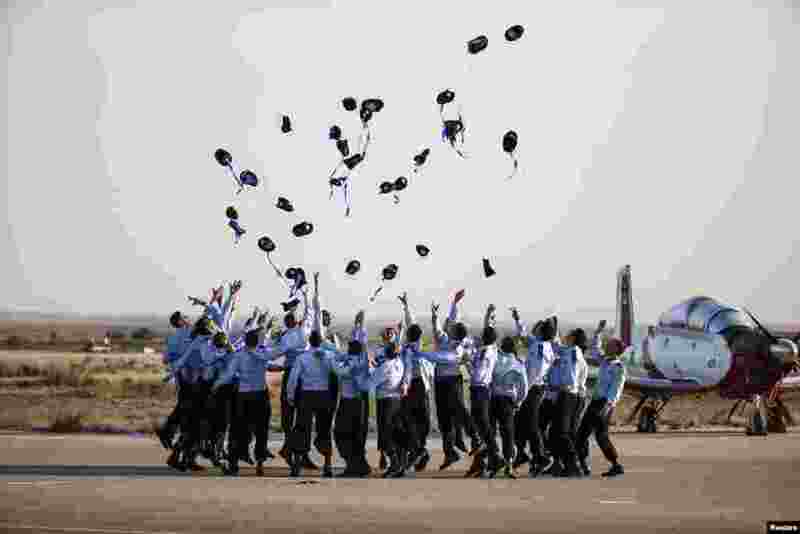 ۱ Israeli Air Force cadets toss their caps during their graduation ceremony at Hatzerim air base in southern Israel. ۲ An Afghan refugee holds a child as she stands near her home on the outskirts of Herat. ۳ An anti-government protester is detained by riot police during a clash at a sports stadium in Bangkok, Thailand. 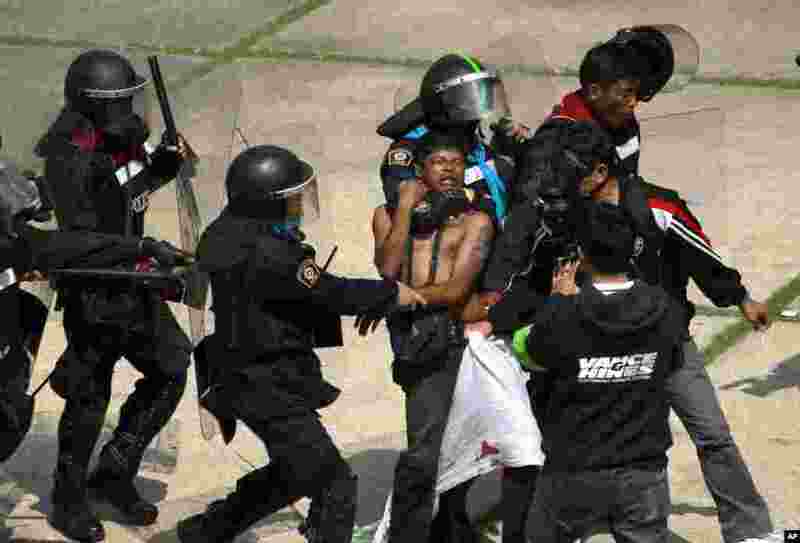 Rock-throwing demonstrators trying to halt preparations for elections fought police in the capital, escalating their campaign to topple the country's beleaguered government. ۴ People enjoy a snow-covered Cloud Gate at Millennium Park in Chicago, Illinois, USA, which becomes a great photo opportunity for visitors, Dec. 25, 2013. 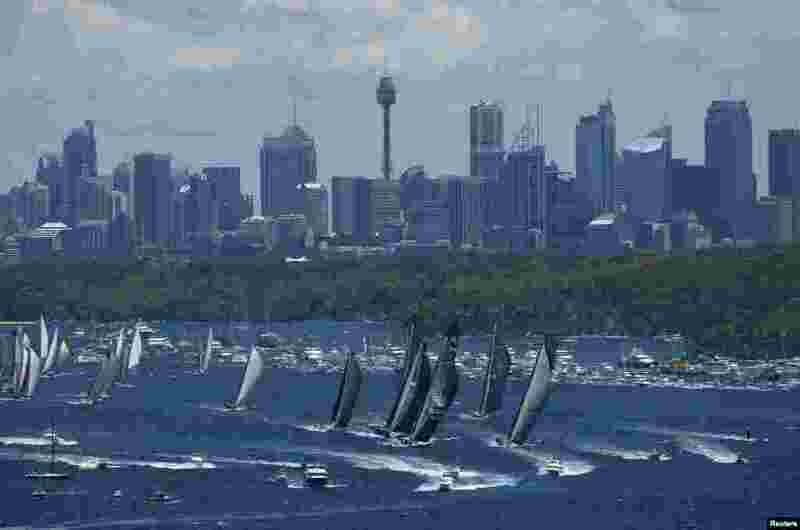 ۵ The field of yachts head down Sydney Harbor at the start of the annual Sydney to Hobart yacht race, Australia. 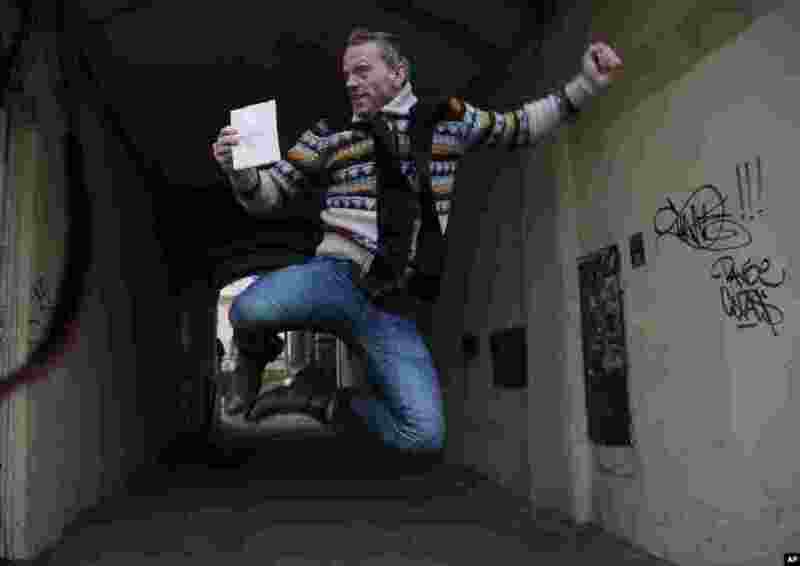 ۶ Greenpeace International activist Mannes Ubels of Netherlands jumps holding his passport as he celebrates getting permission to leave Russia, near the Federal Migration Service in St. Petersburg. 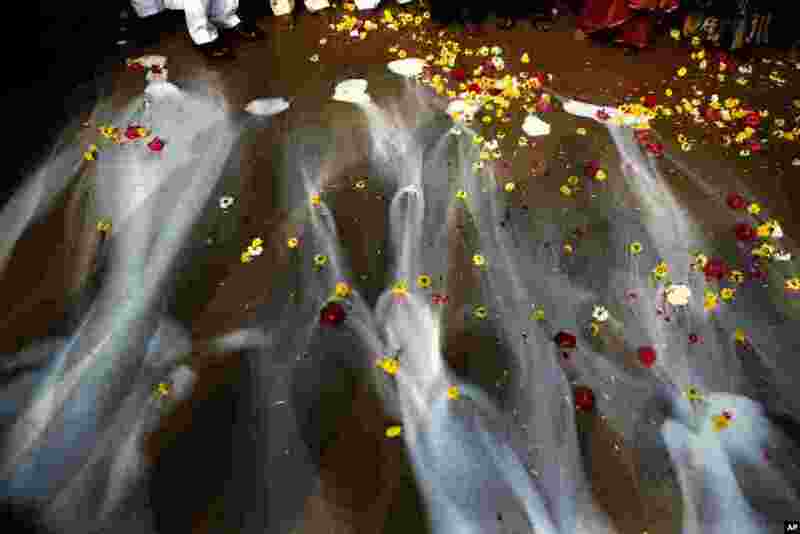 ۷ Indians offer milk during a prayer ceremony to commemorate the 9th anniversary of the 2004 Tsunami, on Marina beach, in Chennai. 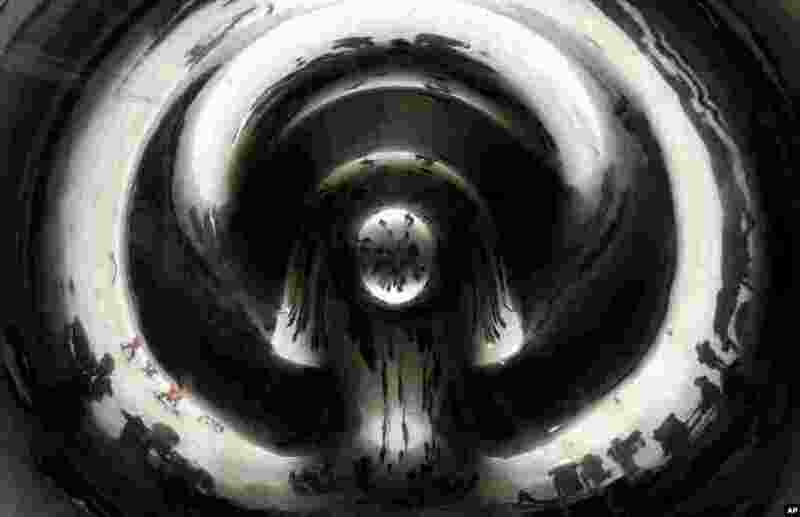 The Tsunami triggered by a 9.1 magnitude earthquake on Dec. 26, 2004 killed tens of thousands in 12 Indian Ocean nations. 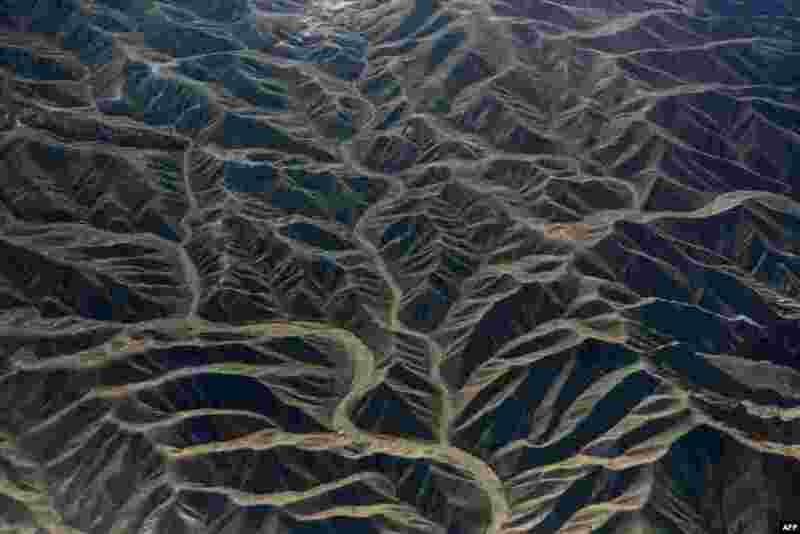 ۸ In this aerial photograph, dry river beds snake among the rugged terrain in eastern Afghanistan.